In honor of National Doctor’s Day, Yoakum Community Hospital hosted its 8th Annual YCH Choice Award, giving employees and patients the opportunity to nominate the Physician of the Year. Many nominations and comments were received praising the doctors and their many honorable qualities, but one stood out from the rest: Dr. Saundra Anderson! Dr. Anderson has specialized in Family Practice/Obstetrics at YCH and first began seeing patients in April 1998. She has always been a true asset to the hospital and community. In addition, Dr. Anderson chose St. Jude’s Children Research Hospital as her charity of choice and a donation was given in her name. 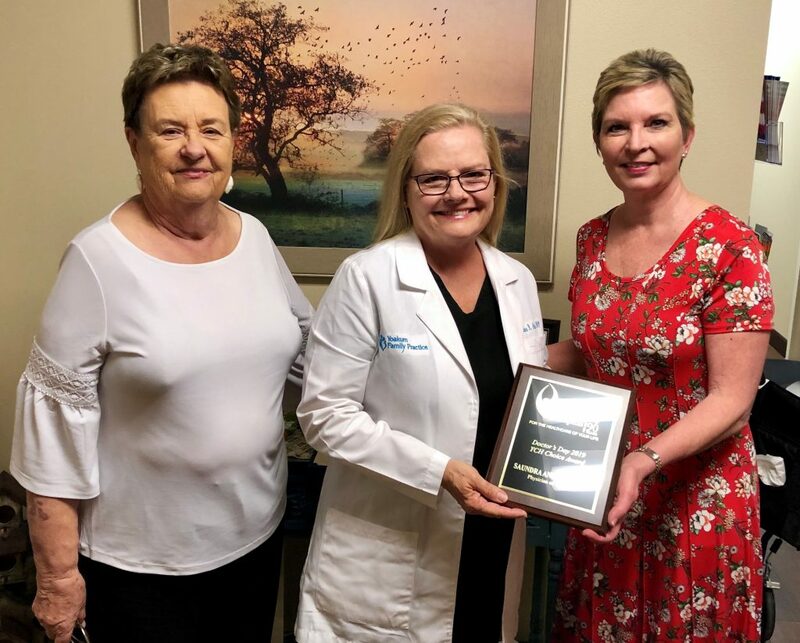 Elorine Sitka (YCH Board Chair) and Karen Barber (CEO) presented Dr. Anderson with a commemorative plaque, congratulating her for receiving the honor of YCH Physician of the Year!